Group decision support systems (GDSSs) which aim at increasing some of the benefits of collaboration and reducing the inherent losses are interactive information technology-based environments that support concerted and coordinated group efforts toward completion of joint tasks (Dennis, George, Jessup, Nunamaker, & Vogel, 1998). The term group support systems (GSSs) was coined at the start of the 1990’s to replace the term GDSS. The reason for this is that the role of collaborative computing was expanded to more than just supporting decision making (Patrick & Garrick, 2006). For the avoidance of any ambiguities, the latter term shall be used in the discussion throughout this paper. If we trace back, GDSSs are specialized model-oriented decision support systems (DSSs) or management decision systems that were born in the late 1960s. 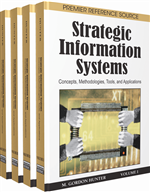 By the late 1970s, a number of researchers and companies had developed interactive information systems that used data and models to help managers analyze semi-structured problems. From those early days, it was recognized that DSSs could be designed to support decision makers at any level in an organization. DSSs could support operations, financial management, and strategic decision making.